Leo Burnett London’s print ad series for McDonald’s will be exhibited and become part of the permanent collection at the prestigious Poster House museum in New York. 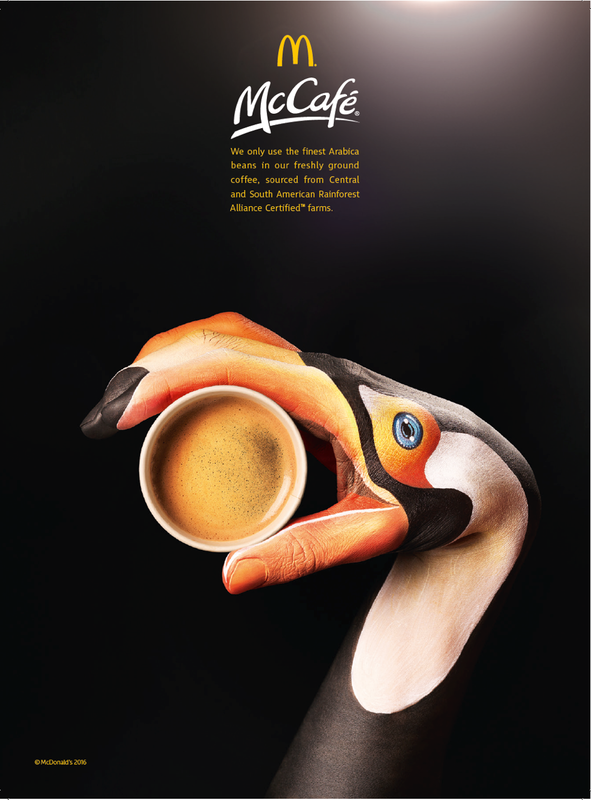 The series of ads for McDonald’s McCafe, called “Hands” and created by Leo Burnett creative team Steve Robertson and Blake Waters, will be exhibited at the museum as an example of contemporary art and design in advertising. 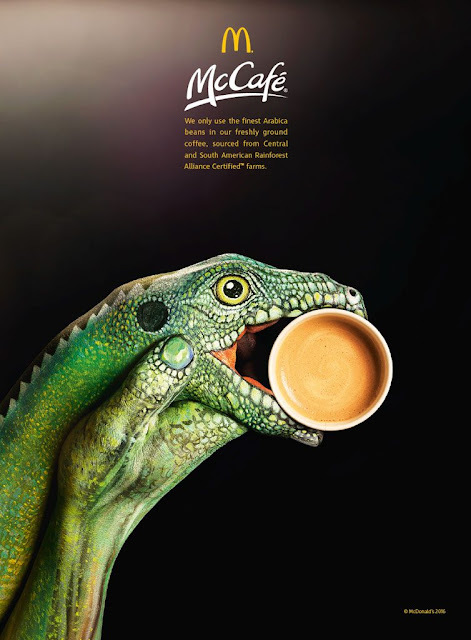 The poster and print ads, launched in September 2016, were designed to promote the fact that McDonald’s only uses the finest grade Arabica beans from South and Central American Rainforest Alliance Certified farms for its McCafe brand. 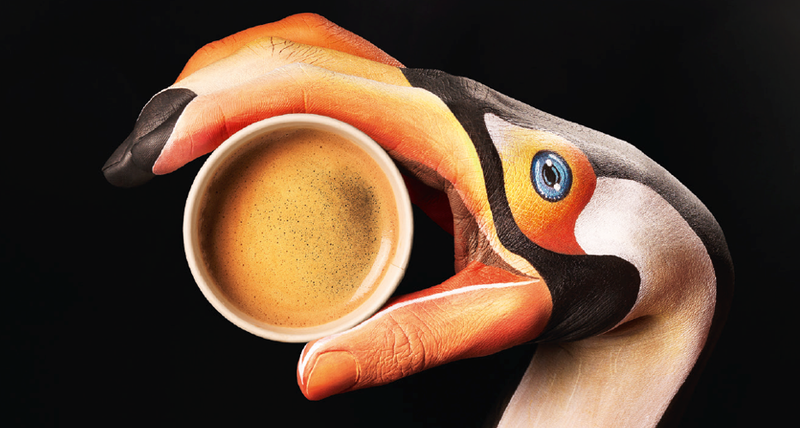 Leo Burnett commissioned renowned artist Guido Daniele to paint beautiful imagery of animals native to the rainforest on to hands holding the coffee against a black background. Chaka Sobhani, Chief Creative Officer said, "You always hope to create something iconic and memorable, something that has the chance to live on in popular culture in some way. We're very proud and honoured be have been chosen as part of this illustrious permanent collection, and are grateful that more people will be able to see and enjoy it for years to come."